I will be on DJ duties tonight at what is sure to be a really busy one. Inkubbus Sukkubus pre Slimes show. 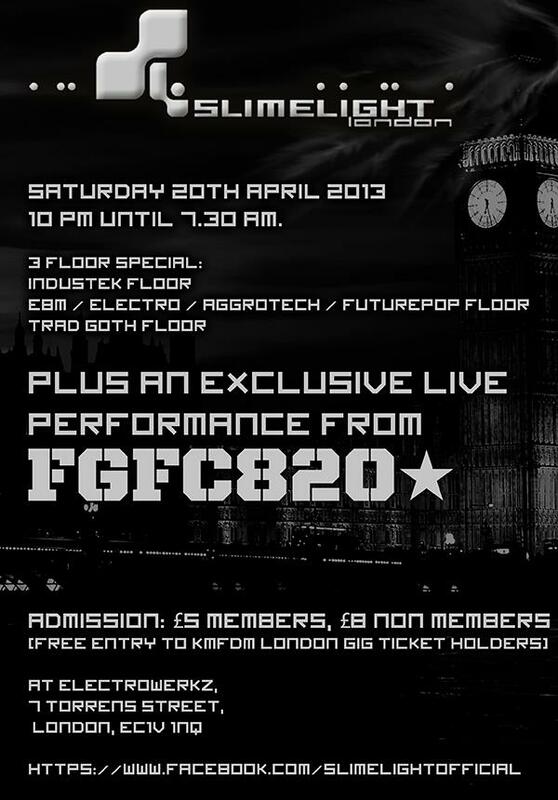 Then KMFDM after-party plus a live club set from industrial band FGFC820. All on 3 floors. Link below gives you all you need to know.. see you there. ~ by calumgray on April 20, 2013.